Can my Bedroom Environment Help me Sleep? Many people ignore the importance of their surroundings when they are trying to sleep. 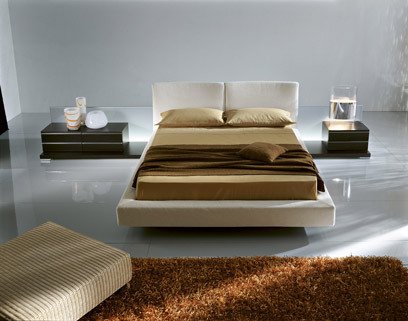 Your bedroom needs to be a place that is conducive to falling and staying asleep. If you haven’t optimised your bedroom, turning it into a sleep haven, then now is the time. Just by making some simple and easy changes you may sleep deeper and better than you ever have before. Your bedroom is a space to sleep, first and foremost, and it should be set up for sleep. You spend around a third of your life asleep (at least you should) and it is important that you create a space that is conducive to getting to sleep and staying asleep. Our modern lives are filled with too many distractions as it is, keep them out of the bedroom and you will have more rejuvenating and refreshing nights. Here are the three key elements to focus on. Quiet. Your bedroom needs to be quiet. Turn off any devices, like computers, that make noises on standby. If you live on a noisy street then close your windows before you go to sleep. Depending on how deep a sleeper you are and what stage in the sleep cycle you are at, random noises can easily wake you, so make sure you have turned everything in the house off and shut the door to your room. Fresh Air. Too many people sleep in stuffy rooms, it is better to have air flow so that you are breathing nice fresh air throughout the night. Obviously if you live on a noisy street then having a window open could be a problem but many homes have air conditioning or some form of ducting that you can use to make sure you have air flow in your room. Don’t compromise your quietness, but try to get fresh air where possible. Dark. A bedroom needs to be dark as you can achieve. This means that you need to have good heavy curtains or blackout blinds on all of your windows. It also means that you need to turn off all LED lights that seem to surround us these days. If you have an alarm clock then cover it so that you cannot see the numbers. Many people will lie awake in bed at night periodically checking their alarm clock, so have it out of reach and covered. Also, don’ t use your smart phone, tablet or computer before bed as a number of studies have found that these backlit screens play havoc with our body clocks and make falling asleep more difficult. A good rule to have is that these devices are not allowed in the bedroom at all. Read a book to wind down instead. Make your room as quiet as possible, turn off electronics and shut your windows. Get as much fresh air as you can. Make your room as dark as possible. This means turning off all your electronic devices, hiding your alarm clock and banishing all smart phones, tablets and computers. Having a bedroom that is conducive to sleeping is vital, so aim to make your room into a sleep haven.